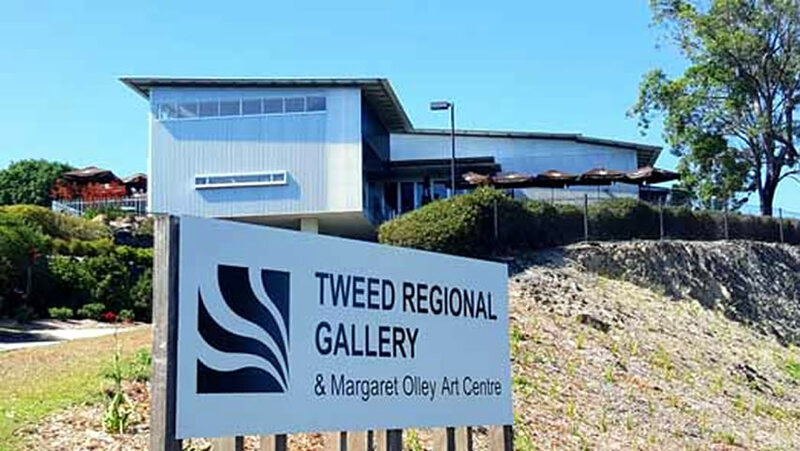 Situated in the Tweed Valley at Murwillumbah, the Tweed Regional Gallery features Australian portraits from all eras and the work of numerous regional artists. The Gallery's prize exhibition, drawing visitors from throughout Australia is the Margaret Olley Art Centre opened in March 2014. This is a re-creation of rooms from artist Margaret Olley's home studio in Duxford Street, Paddington, including the Hat Factory and the Yellow Room. The Gallery welcomes over 135,000 visitors per year to its unique hilltop position with magnificent views from every window. Admission to the Gallery is free and the Gallery is funded by the Tweed Shire Council, Arts NSW and the Gallery's support organisational, the Friends of the Gallery and the Foundation. Gallery Director, Susi Muddiman, has the challenge of promoting the Gallery, developing the exhibitions and complementary programs, maintaining the whole facility and reporting to her key stakeholders. The numbers of visitors to the Gallery and to the on-site Cafe are critical key performance indicators for Susi and her team. Susi has had our 3D counting sensor installed at the entrance to the Gallery and our wireless beam sensor at the Cafe, enabling the staff to track Gallery visitor numbers and make comparisons with the number of people who visit the Café. Traffic Reports give hourly, daily, weekly and longer time frame visitor information which enables better staffing and planning for the cafe and the site generally plus measurement of various point of sale initiatives.